Happy St. Patrick’s Day! I know I should have shared these St. Patrick’s Day Mini Ice Cream Pies a few weeks ago so you would have time to make them but this is how I seem to roll when it comes to holiday projects. If you know anything about me, you know I’m a procrastinator. Plus, my neighbors and I just decided on Tuesday to have a St. Patrick’s Day Party so that only gave me a day to figure out what I wanted to make. I’m in charge of bringing dessert for the kiddos because my friend Lesley is making a delicious dessert that only the adults can eat. 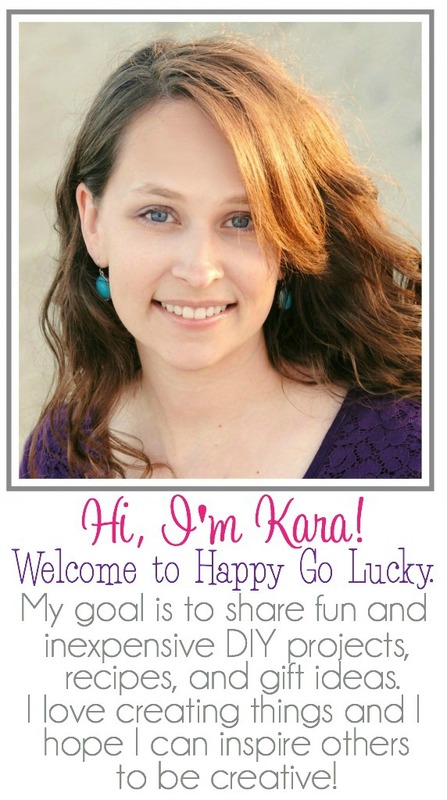 I can’t wait to try her cupcakes. You’ll have to visit me on Instagram to see what those look like. 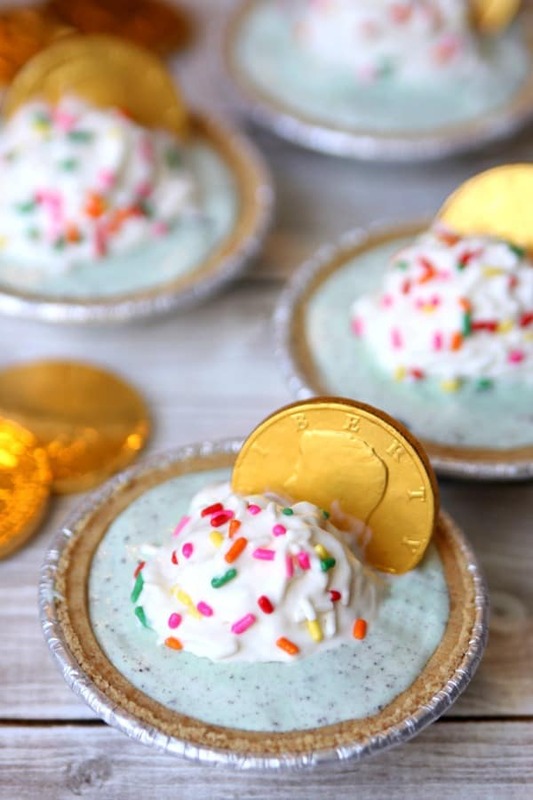 I was in the mood to try something new so I made these mini ice cream pies using mint chocolate chip ice cream, rainbow sprinkles and gold coins. Step 1: Let ice cream sit out for about 10 minutes to soften. Step 2: Scoop ice cream into mini pie crusts. Use a knife to spread out evenly. Step 3: Place in freezer for about 15 minutes or until you are ready to serve them. Step 4: Top with whipped cream, sprinkles, and gold coin when you are ready to serve. Can you go wrong with anything that includes ice cream, rainbow sprinkles and chocolate? I didn’t think so! I can guarantee that when you show up to a party with these mini pies, they won’t last long. 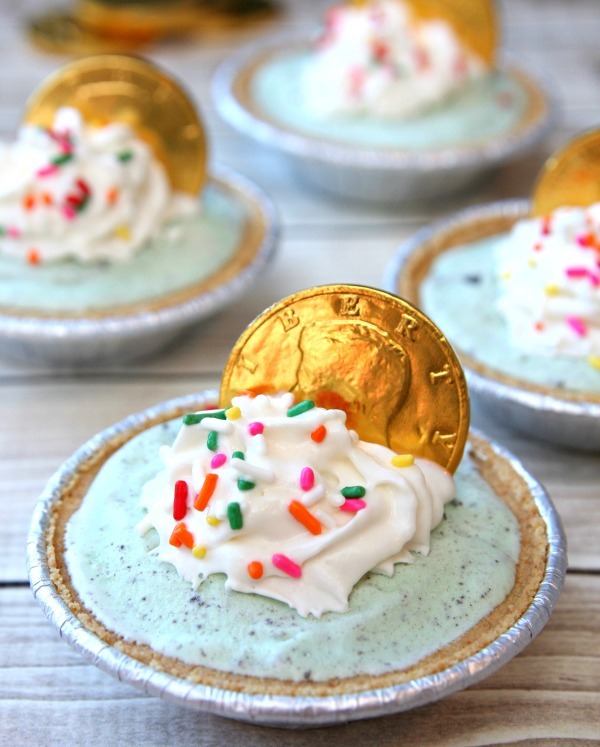 Don’t worry, you still have time to stop at the grocery store and get everything you need to make these fun St. Patrick’s Day Mini Ice Cream Pies. 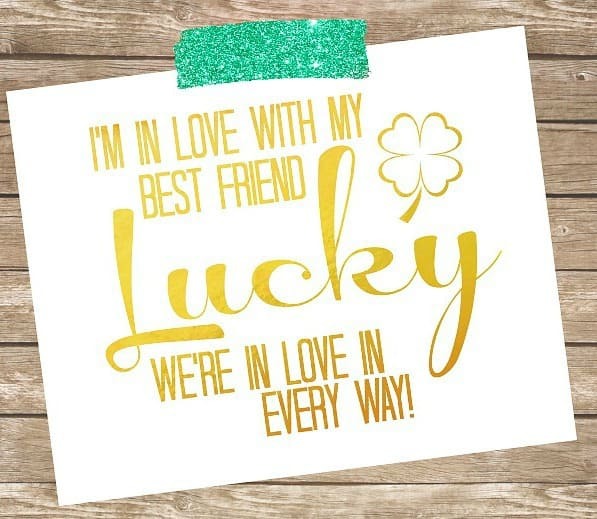 And since I’m in still in love with gold printables, I created this fun printable that is perfect for St. Patrick’s Day and all year long.